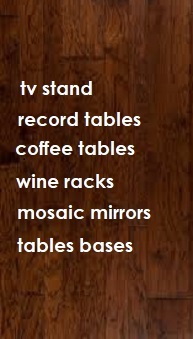 Hand crafted Italian mosaic stained glass mirrors, and just like all our tables, every cut is by hand so your mosaic mirror is a true work of art. 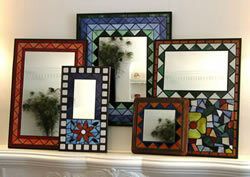 These mosaic mirrors look great anywhere you hang them. In the hallway, the bathroom, the kitchen, or any other place you can think of where you would like to brighten things up. Our mirrors come with the hanging hardware already installed. You can select from the styles bellow or create your own by choosing any design and color we have on our site and in any dimentions you want. Just use the design your own section and your imagination.